It’s basically the story of Beauty and the beast. Beauty gets caught by the wicked fairy and gets put in a cage. Holly and the white cat have to free Beauty before sunset to break the spell on the prince. 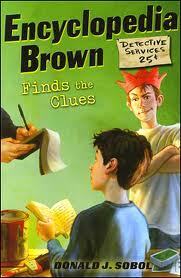 It’s about a kid called Artemis Fowl. He’s 12 and he’s found out about a race of people who live under the ground. He’s kidnapped one of them and is holding her for ransom to get his family fortune back. The pixie he’s captured is called Holly Short and she’s a commander in the leprechaun army. There are lots of mini mysteries that you have to work out - it gives you the clues. There’s one about diamond necklaces being stolen and rubber pillows being stolen. Their enemy, Bugs Meanie, apparently gets kidnapped by people working with Encyclopedia Brown (whose name is Leroy but he’s so smart that everyone calls him Encyclopedia). 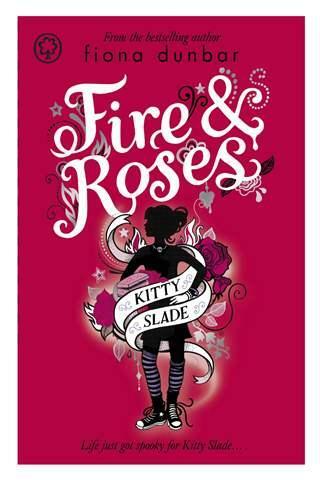 Fire & roses : Kitty Slade, bk. 2 by Fiona Dunbar - reviewed by Lola N.
About a girl who can see ghosts - it’s pretty creepy and gross really but it’s good. The ghosts have a message and she has to solve the murders. It describes the ghosts banging on the doors well. Too well! It’s about this family and the parents are going somewhere and need someone to look after the kids. The parents of the mum live in another country and they never see them. The grandfather has just lost his job as a baseball commentator. The little kid makes the automatic greeting when they come in the house saying “Hello Farty”. This girl in the family eats a cake and goes crazy on sugar. It’s funny. It’s about this boy that has been waiting to get murdered since he was born by Lord Voldemort. Hagrid comes and blows down the door and tells him he’s a wizard. He goes to Hogwarts and meets Ron and Hermione who become his best friends. He finds out about the philosopher’s stone and he wakes up in hospital and Gryffindor wins the house cup. This kid called Greg lives in this family that has all kinds of rules. He’s in middle school. His uncle is getting married for the third time at his Grandma’s house. He has to have a talk with his Grandma. His uncle had a tattoo of his ex-wife’s name so he just added “I don’t like --- anymore”. He’s got a friend who’s a bit weird called Rowley. Emily the strange: The lost days by Rob Reger and Jessica Gruner - reviewed by Lola S.
Emily gets amnesia in Black Rock and she finds a robot golem who she befriends as she doesn’t realise he’s not human. She finds her identity and it all unfolds at the end. Two girls, Pat and Isobelle, have just graduated from a really posh school so they’re stuck up. Their parents made them go to St Clare’s where they have to be independent. The get called the Stuck-Up Twins but they realise that it’s a good school and they have midnight feasts and play tricks on the teachers. A boy called Hal has really rich parents and they rent him a dog but he doesn’t know that it has to go back. He’s really sad. The kennel keeper’s sister is there when Hal comes to get Fleck (the dog) to take him to his grandparents house. The girl lets all the other dogs go that night too and they all run away to Northumberland together. The parents think the boy has been kidnapped and they hire a private detective and offer a reward of $20000. Along the way all the dogs find a place they feel comfortable in. I haven’t read much of it but there’s a girl called Martine who lives in England. In the middle of the night her house burns down and her parents die and she has to go to Africa. 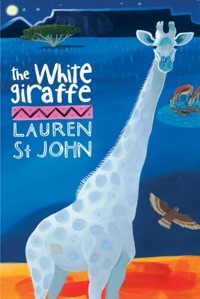 There’s a storm and she looks out the window and sees a white giraffe that she’d been told about on the way from the airport. She goes out in the rain and to the waterhole and there’s a cobra and the giraffe stomps on it and the girl and the giraffe become friends. It’s about a boy and he’s going to his Grandma’s house in Norway and he’s driving with his parents and they have a car crash and his parents die so he lives with his Grandma who tells him all about witches. They wear long gloves and have blue spittle. They wear wigs and their feet don’t have any toes. They go back to England for his school and he and his Grandma go to a hotel and he has two pet mice. He finds a room that’s empty and he’s training his mice but then the witches come in and he sees that they’re witches. The Grand High Witch has made a potion to turn children into mice and they turn him into a mouse. His Grandma helps him get into the Grand High Witch’s room and he steals some potion and puts it into the witches’ soup and they all turn into mice. The boy stays a mouse.